The neighbours all complain about the foxes hanging around the flat where Cassie lives, close to the river Thames, but Cassie thinks they're beautiful. Her favourite is a small fox with a white tail-tip, who she names Frost. One night she catches sight of him out in the snow, looking cold and thin, and decides to sneak him some food. But Frost seems to want her to follow him. 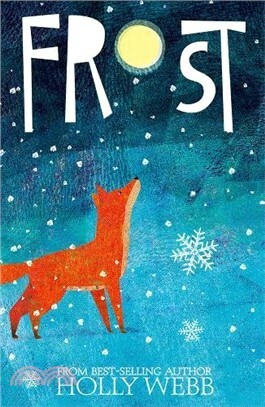 As he leads Cassie towards the river she feels the world change around her and finds herself in the back in the 17th century - at the time of the Frost Fair on the frozen Thames. At first she is thrilled by the sights and sounds of the famous fair, then she glimpses a fox with a white tail-tip. It appears that Frost wants her to follow him again. Can she find a way to return the fox to his countryside home?